When you hear the term Up-sell does it invoke an image of an unsavory salesman trying to con you into something more expensive? Up-sell is not a dirty word. It is a marketing term for the practice of suggesting higher priced or additional products or services to a customer who is considering a purchase. Rarely do you escape a fast food drive-in without being asked if you would “like to super-size that?” Servers are taught to ask restaurant patrons “Are you ready for dessert or do you want to take any sauces home with you today?” It’s an acceptable practice. The power of suggestion is incredibly influential. Spontaneous add-ons are generally win/win for both the patron and the business. Up-selling in the direct sales industry it’s not as widely acceptable. Some independent sales consultants are hesitant to try this practice with their customers. Likewise, some customers instantly get defensive and discount any suggestion of anything additional – without even listening or considering what is being offered. Cross-selling is another term that is similar and oft times used interchangeably with up-sell. Cross-selling is offering additional suggestions. If you have ever made a purchase at Amazon, you know that once you place an item in your shopping cart, additional products appear on your screen alerting you that previous customers who made the same purchase also were interested in the following items. That is an example of cross-selling. There is a fine-art to up-selling. If not employed correctly it can backfire on the independent sales representative. It is not something that should be unilaterally attempted with each and every transaction. For instance – while you’re talking with guests at a home party you learn that one of the attendee’s spouse just lost his job, her basement flooded and her teenager just crashed his car. 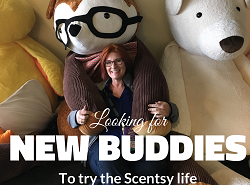 She places what appears to be an obligatory order for one of the least expensive items offered in your catalog. Clearly she’s made it clear there isn’t discretionary income in the budget right now. 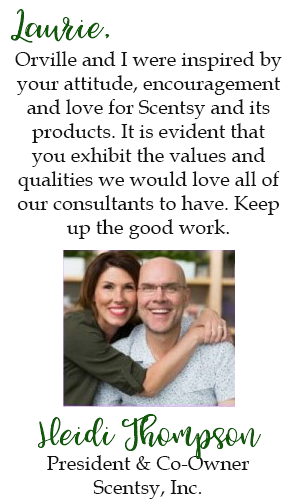 On the other hand, if you have a guest who has made it perfectly clear that she wants one of everything in the catalog and placing a substantial order, it would be absolutely appropriate for you to suggest, “I see you’re ordering two of [these]. If you flip to page 23 in the catalog, you’ll see our “Combine and Save” options. If you order just one more, you’ll save $x.” In this case, the customer would most likely be appreciative that you’re saving her money. 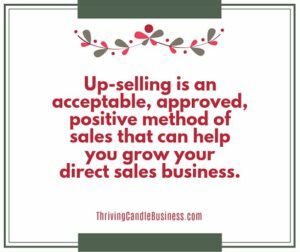 Up-selling is an acceptable, approved, positive method of sales that can help you grow your direct sales business. If you’re not accustomed to up-selling your customers, I encourage you to try. Listen to your customer’s needs to ensure you are using this technique appropriately and then it will be well received.